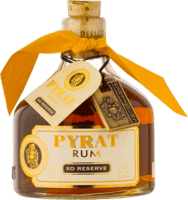 Best rum, best price World class. I’d put this up against any rum in the world, any price, in a blind tasting. 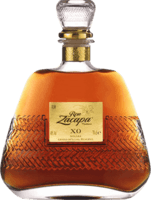 Better than Zacapa XO Did a side by side with zacapa xo. This was smoother with equal depth and flavor. Best rum I’ve ever had. Wow!!! Dollar for dollar one of the best rums around. Sip this beauty. Can’t wait to try the 18 This is probably the best 12 year I’ve ever tasted. Dying to try the 18. Very sippable. Great bargain. Hard not to give this a 9 Love the strong vanilla and molasses flavor. On the sweet side. Side by side winner Tasted side by side with Royal Jamaican and Appleton Rare with four others. This was the clear winner. Surprised Probably best as a mixer, but it’s smooth enough to sip, and a great value in that regard. Very strong on the vanilla if you like that. Light, sippable Not bad for a island generic. Very sippable on a hot day. Versatile because you can mix or sip. High quality mixer Wouldn’t bother with this as a sipper. A high quality mixer. Just a mixer This did not meet expectations. 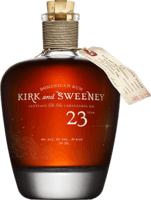 Lacked any smoothness and the burn drowned out any flavor the rum might have had. A mixer Don’t bother sipping this. Strictly a mixer, but admittedly a good mixer. 4 is generous This is a mixer, not a sipper. Calling this xo is an insult to other runs.